If you have been a victim of Malware or Spyware you may be able to get justice. If you believe you have been victimized in this case, please go to this https://forms.fbi.gov/check-to-see-if-your-computer-is-using-rogue-DNS website and type your DNS information into the search box under article. Below is a list of Programs that I frequently use. Click on the program title links below to begin download. Click Here to Download Avast Anti-virus. Click here to download Spybot - Search & Destroy detects and removes spyware, a relatively new kind of threat not yet covered by common anti-virus applications. Spyware silently tracks your surfing behaviour to create a marketing profile for you that is transmitted without your knowledge to the compilers and sold to advertising companies. If you see new toolbars in your Internet Explorer that you haven't intentionally installed, if your browser crashes inexplicably, or if your home page has been "hijacked" (or changed without your knowledge), your computer is most probably infected with spyware. Even if you don't see the symptoms, your computer may be infected, because more and more spyware is emerging. Spybot-S&D is free, so there's no harm giving it a try to see if something has invaded your computer. How To Run Defrag and Full Disk Check With Puran Defrag? Puran Defrag Free Edition is a fully automatic disk defrag utility. Simply install, do the initial automatic defrag setup and forget defragmentation forever.Its features include directories consolidation for speed boost, optimization by freeing space, automatic defragmentation for worry free defrag,boot time defragmentation for system files like MFT,low priority defrag for work while defrag experience,individual file or folder Defrag for selective defrag, GUI and Console Command Line Defrag Supported, restart or shutdown After Boot Time Defragmentation, file or folder Exclusion or exclusion by wildcard facility. What's new in this version: Version 7.3 has divided disk check into two parts, normal disk check and full disk check. Are you tired of typing passwords? Click to download this free program. Do you think your infected with a virus? Check your pc free online. Click ESet Free Online Scanner. 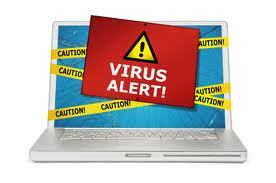 Download and Run this Free online virus scanner to check for any malware or viruses. This program will also clean them for free. Free Program to find multiple files on your computer. Great tool to clean up hard drive.